I buy 2k trouts at one shot, and after my invent of trout finished, i use all my prayer on prot melee, afterwhich, i go to the monk place and get my monk robes and also recharge pray. Then bank. This way the money used to buy trouts would be covered, in fact you earn, when you sell the monk robes. 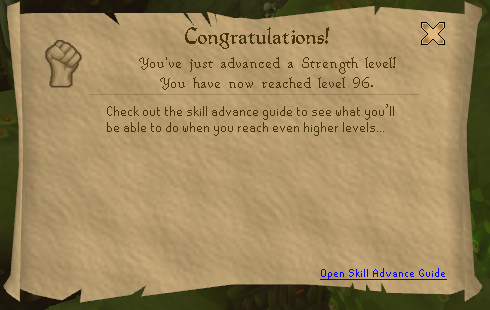 Gratz Sp on 97 str!